I enjoy the guidance offered by customers as to their readers’ preferences and needs. 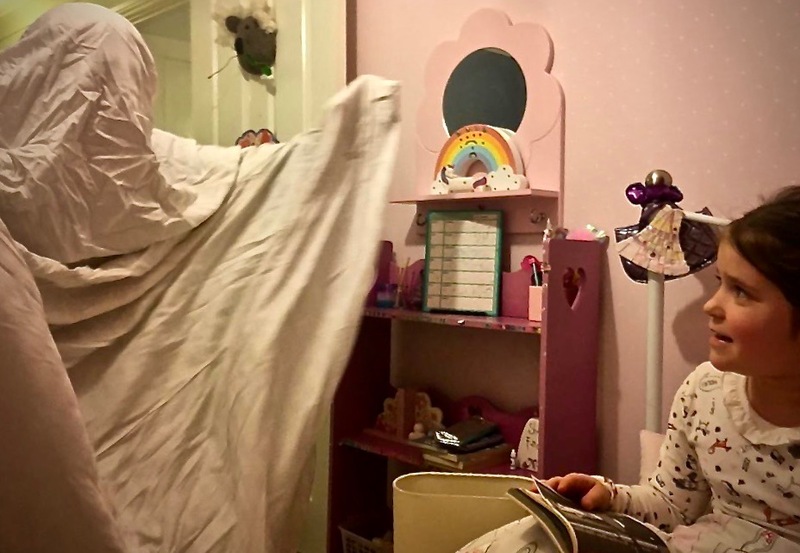 Recently, Bookwagon took a gift book subscription for a child whose preferred reading genre is horror. This prompted some thought! We will fulfil this preference while looking to integrate other reading themes into the selection. That is not difficult! Last week I offered that fantasy was not my favourite reading genre. Yet I have come to enjoy previewing children’s books of this genre for Bookwagon. 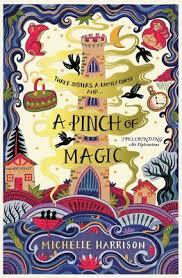 This week I read A Pinch of Magic, the latest book by Michelle Harrison and the first I have read by this author. We will support a visit by her to a nearby school during World Book Day week. Her books fit the fantasy reading genre, with a sprinkling of the supernatural. However, in this instance, I was delighted to discover themes of kindness and loyalty that superseded the threat and horror. 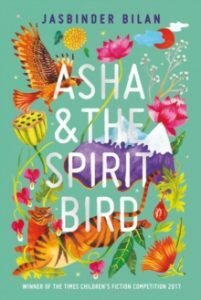 Mr Bookwagon was bowled away by the strength, message and story contained in Jasbinder Bilal’s Asha & the Spirit Bird. This is a stirring story including themes of tyranny, uprising, family loyalty and tradition and superstition. It is multilayered; a story to which confident adventure loving readers are likely to return. 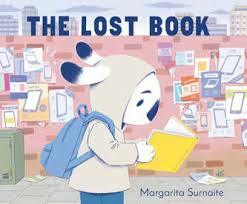 Margarita Surnaite’s début picture book,The Lost Book evolved from her observations of a technology obsessed society. Yet the reading themes within this title could also include the joy of reading, sharing stories, isolation and difference. Why is the protagonist a rabbit, and the recipient of ‘The Lost Book‘ a human child? There are rich pickings for discussion and consideration. 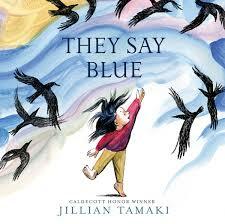 Similarly Jillian Tamaki’s They Say Blue is more than a book of colours. Through an unnamed period of time, we participate in a young girl’s investigations of the sensory world around her. Is a blue whale really blue? 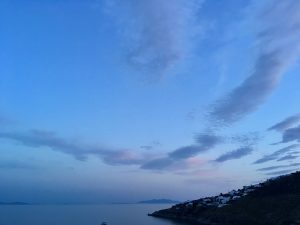 We know blood is red, but why do we say the sky is blue? What happens during our seasons? 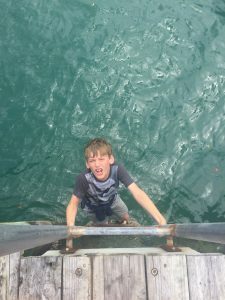 Do our understandings match our experiences? This book holds so many rich considerations and reading themes within a seemingly subtle sensory exploration. Idris has given up hope. In his small, small world only fences, dirt and shadows flower. 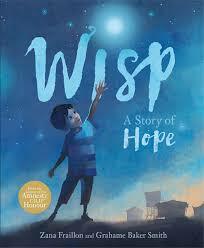 When Wisp appears, it offers him a glimpse of memory and possibility. The wisp transfers to an old man who remembers a time before. It travels through the camp, lighting up lives. What happens when another wisp appears to Idris? Through shadow, light and lyrical prose, this ‘story of hope’ offers so many reading themes alongside so many human emotions. Nick Sharratt came to prominence as illustrator for Dame Jacqueline Wilson’s children’s books. Recently, he turned his hand to picture books for younger readers. 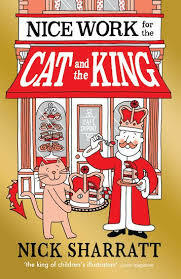 Last year, he offered The Cat and the King a richly satisfying selection for newly independent readers. A parent observed, ‘There’s more to this story than meets the eye, isn’t there?’ Yes, dear reader, there is! The subtle reading themes continue in its superb sequel, Nice Work for the Cat and the King. Cat’s loyalty to the King is exceptional. The King cannot expand beyond his role and tradition. With only small piles of coins left for the King to live on, what is to be done? 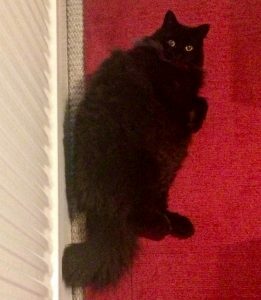 It’s Cat, as ever to the rescue. February 7th was release date for a host of new children’s books. I fretted that we had not read them all as publicity blared across social media. However, in reading every book we sell we are at an advantage. 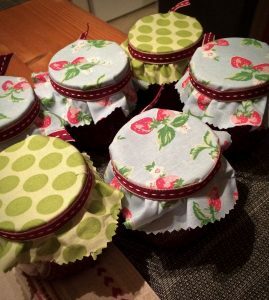 This practice means that our reading descriptions, in our own words, carry authenticity and reliability. 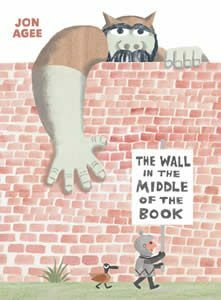 When I offer that The Wall in the Middle of the Book is an outstanding book for all ages, you know I have read it and loved it honestly. Watch the pictures, expressions and movement in this stunning début title for Scallywag Press. Look at the conflict to the text! The reading themes in this story are vast, considered and so intelligent! The dark, overlaid tones and paper construction employed in The Visitor suggest something spooky. Elise, our main character is scared. She is shut into her own world. She ‘never went out. Night or day.’ She is terrified when a paper dart flies through a window. 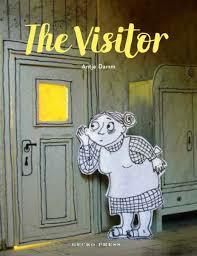 When it is followed by a knock at the door, Elise is almost too frightened to answer it. Who is breaking down Elise’s wall? It is fascinating to see the colours, shadows and tones change, alongside the shapes and sizes of the picture components. The reading themes in this masterclass of storytelling are rich, complex and stimulating. 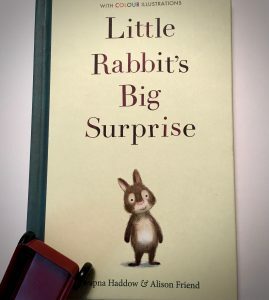 I expected something traditional in Little Rabbit’s Big Surprise. However, when Little Rabbit tags along with Big Rabbit, he makes many discoveries about his setting. So do we. We are also left in a dilemma as to how to improve the situation of many of the characters introduced. What can be done? What is the message within the story? This is a truly satisfying book. I suggest it is one that many children will want to keep, too, a ‘forever story’. Rather, as Little Rabbit discovers on her day with Big Rabbit, beneath the covers of every book we read are new themes, new considerations, new readers to meet. 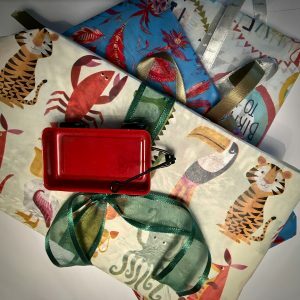 Being an independent children’s bookseller, charged with matching books to readers is demanding, a challenge and a privilege.